Design Goals: It was designed to reach 10,000 meters but as we easily surpassed that feat we decided to try to reach the moon. 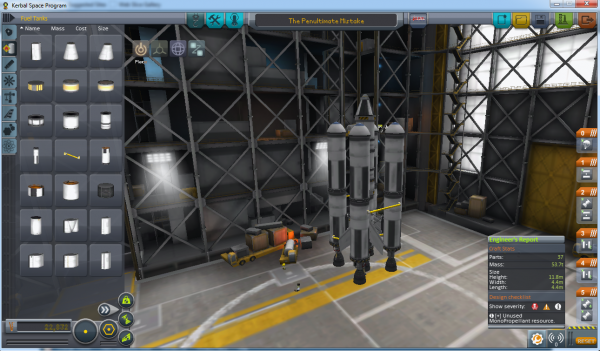 It is supposed to be a very fuel efficient rocket that can travel far. Launch Goal: We were hoping to reach the Mun and come back. Pilot Plan: The pilot is there to start all engines, decoup the fuel tanks that run out first, and conserve enough fuel to get to the Mun and back.